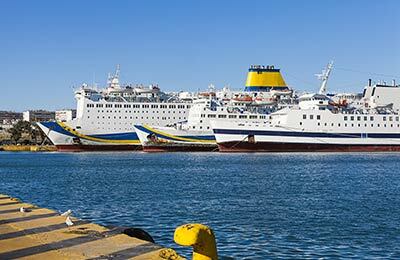 Ferries sail from the island of Lesvos go to Chios, Kalymnos, Kos, Tinos, Rhodes, Samos/Karlovassi and Thessaloniki. 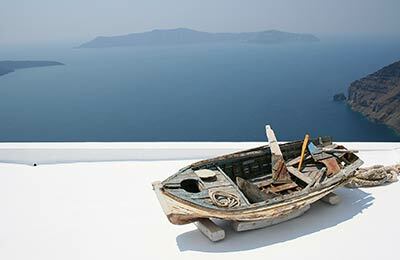 They are operated by Blue Star Ferries and Hellenic Seaways. If you look below, there is a selection of the latest departure times and a choice of our best prices on Lesvos ferries. Whatever route you take to or from Lesvos, you are certain to have a great journey with either of these well known Greek ferry companies. Lesvos, also known as Lesbos has two main ports on the island. These are Mytilene and Sigri. Mytilene is the capital of the island and the main port. You will see which port to use when you make your booking. Mytiline is the capital city. The port can be found at the well developed beach front next to a natural bay. The port is well signposted and easy to find and reach by car or foot. There are many cafes, rooms, hotels and tavernas nearby. If you cannot find information about your ship, speak to a member of the port police at the port or go to a local travel agency who will have live updates of ship positions. Sigri is the second port of Lesvos. The port is in the peaceful village of Sigri on the West coast of the Island. The port is easy to find because the village is quite small. Like in most small Greek island villages there are no street names. If you cannot find information about your ship, speak to a member of the port police at the port or go to a local travel agency who will have live updates of ship positions. There are many cafes, rooms, hotels and tavernas nearby. If you cannot find information about your ship, speaking to a member of the port police at the port or go to a local travel agency who will have live updates of ship positions. Both the ports of Sigri and Mytilene have limited facilities, however, you will find many nearby cafes, shops and tavernas. Lesvos - also commonly known as Lesvos, is close to Turkey in the North Eastern Aegean and unlike many other Greek islands is quite green. You'll find beautiful beaches, great small tavernas and very friendly locals. Lesbos is popular with families and couples as it's a sleepy quiet island - although big enough to give you plenty of choice in beaches, hotels and places to eat. Lesvos is also full of history and you'll find many byzantine monasteries and castles to explore. Mytilini in particular has some wonderful colourful buildings along the sea-front. The perfect place to order a frappe and gossip and watch the world go by.